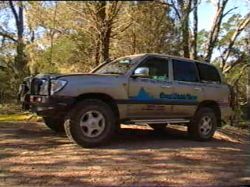 Great Divide Tours was established in 1990 to provide 4WD Tag-along tours and 4WD Driver Training. It is owned and operated by Vic Widman who has been exploring Australia by four wheel drive for over 25 years. 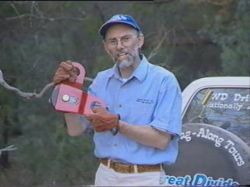 Vic is an accomplished travel journalist having many articles printed in specialist magazines such as 4X4 Australia and 4WD Monthly. He has also assisted well known editor Ron Moon with his books Discover Australia by 4WD and Discover Australia’s National Parks to which Vic contributed all of the New South Wales travel destination articles. Great Divide Tours is now recognised as the largest 4WD Tag-along tour company in Australia offering an array of tours all over Australia. The Nationally Recognised 4WD Training Programme offered by Great Divide Tours have seen in excess of 10,000 people trained in the skill of safe four wheel drive handling. Great Divide Tours has its own specially built 4WD training facility and has provided instruction to many of the countries leading Tour Operators. Great Divide Tours is Accredited with the Outdoor Tour Operators Association of NSW, licensed in every state of Australia with NPWS, State Forest and local Councils as required. Great Divide Tours is staffed by 16 professional tour guides who all posses vast four wheel drive experience.